We offer a complete range of customization and commission work to allow you to create that perfect, personalized print that your squadmates, co-workers or family will cherish. This might be a simple change to one of our existing products, or a new, fully customized, unique print. When you commission us to create your special project we will take care of your order from the initial contact, through the development process and up to shipping your amazing print. Throughout this process we will provide you with regular drafts and updates, and work closely with you to ensure that the final artwork is exactly what you hoped for! 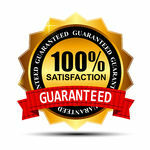 We take full responsibility for this process, and the delivery, and you are always covered by our 100% satisfaction guarantee! Since the possibilities are endless, please contact us for further details and to discuss any ideas you may have. We will be more than happy to work with you to create exactly the artwork you want. Usually we answer all inquiries within 24 hours! We also have a great deal of experience working closely with members of the armed forces and airlines. This experience helps us understand your needs. Please check our 'Customer Gallery' to see some of our custom work. Who are our clients and customers, what are they using our prints for? Our wide and diverse customer base consists mostly of USN, USAF and USMC units, airlines, aviation enthusiasts, veterans and modelers interested to extend their collection of memorabilia. While we appreciate the trust of all our customers from all around the world, all active units and airliner crews enjoy our distinguished attention when it comes to business. We provide special discounts for all purchases to all active units and airlines doing business with us. PAOs, Sales/PR personnel please contact us to obtain your unique discount code! Our products are regularly chosen as retirement gifts, to support fund raising events, as unique and personal farewell gifts for change of command ceremonies, to commemorate commercial flights and to get them signed for aviation enthusiasts, collectors. To learn more about what our customers think about us please check the reviews section also we invite you to visit our customer gallery by clicking here!